We've all done it - Clicked on a link we shouldn't have or opened an email attachment supposedly from someone you trust. Before you know it your computer is running slowly, showing popups or worse still, encrypting your files so you cannot access them. 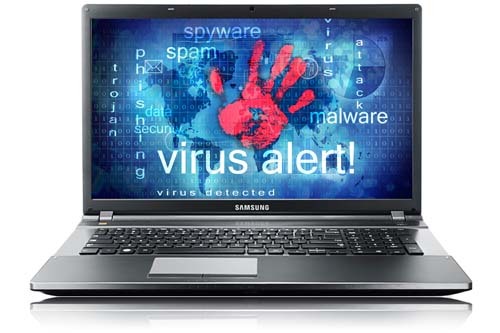 If you think you have a virus then bring your computer into PC Wakeup as soon as possible and we'll get rid of any nasties lurking on it. While we're at it, we'll put the computer through a full service which will test all critical hardware as well and optimise the operating system to get it running as quickly as possible. Where there has been just too much damage, we may contact you to recommend a reinstall instead. This service is the same cost and entails wiping your system and installing the operating system along with all drivers and updates. For a small additional charge we can also save all of your data (such as pictures, music, documents etc) and copy it back to your computer once reinstalled. Either way, you will get your computer back running in tip top condition. For Anti Virus we generally recommend and install either Kaspersky Internet Security or Avast Premier as they have a very good track record and generally come top of most independent tests. If you'd rather have a free Anti Virus program then we recommend and install Avast Free. This isn't as good as the paid for versions but will still offer a good level of protection. Please also note that the free version is for non commercial use only. We will, of course, also install your favoured Anti Virus program should you want us to.